Summer in Santa Fe, NM heralds the start of the FREE, outdoor, music concert series, known as “Music on the Hill”. 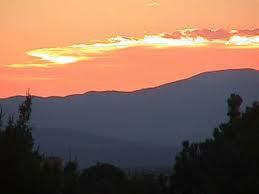 Santa Fe is only a 35-minute drive from Casa Escondida Bed & Breakfast, which is located in historic Chimayo, NM. This event is the perfect pairing of the great outdoors with live music. There is a variety of music performed throughout the concert season (jazz, R&B, Caribbean, Reggae, etc). Experiencing one of these free outdoor concerts is the perfect way to conclude your daytrip, while a guest at our Santa Fe area B&B. St. John’s College hosts this signature Santa Fe music concert event on their athletic field (next to the tennis courts). So bring your blanket and a picnic dinner or buy food and beverages there. St. John’s college is located at 1160 Camino Cruz Blanca. The 7th season kicks-off on Wednesday, June 13th, 2012. Performances are on Wednesday evenings from 6 PM – 8 PM and run through Wednesday, July 25th (excluding Wednesday, July 4th). Casa Escondida B&B has rooms available throughout the concert season. When attending a concert, there is a drop-off area, as well as, parking both on and off-campus. 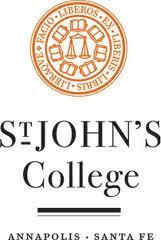 Casa Escondida B&B is happy to provide you with a St. John’s College campus map. However, we highly recommend that you take the free shuttle bus that runs between Museum Hill and St. John’s College. Shuttles run from 5 PM – 9 PM, every 15 minutes. Enjoy the concert! Sorry but there are no pets allowed at this Santa Fe event.